Four members of the Prince George’s County Fire/Emergency Medical Services Department will facilitate conference programs at an upcoming conference and expo. FIREHOUSE EXPO will be held at the Baltimore Convention Center starting on Tuesday, July 21, 2011, with hands-on training at remote locations. Pre-conference programs will commence on Wednesday, July 20 with opening ceremonies and conference programs commencing on Thursday, July 21, 2011. 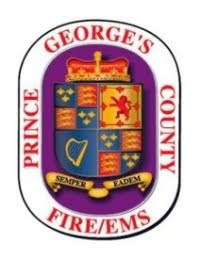 The Prince George’s County Fire/EMS Department, lead by Fire Chief Marc S. Bashoor, will conduct conference programs on Saturday, July 23, 2011, at 8:30 am and 10:15 am. These programs will be held in room 314 at the Baltimore Convention Center. Major Kenneth McSwain will lead a program detailing his role and lessons learned when he was the incident commander at the Penn Mar Shopping Center explosion. The Departments Public Information Officer Mark Brady will provide details on the media aspect of the event and how the video of the explosion went viral. Fire Chief Marc S. Bashoor and Lieutenant Colonel Jerry LaMoria will present their class on a near-miss incident where a firefighter sustained significant injuries. The program details information found in a Safety and Investigative Team Report. Conference attendance requires an admission charge. For additional information visit the conference website at www/firehousexpo.com. Prince George’s County firefighters responded to a report of an odor of natural gas in a strip shopping center. The incident quickly deteriorated shortly after the evacuation of 80 citizens when a fire was detected, explosion occurred, MAYDAY, injured firefighters and additional alarms. The incident commander, Major Ken McSwain, relives those moments in a powerful presentation including incident audio and dramatic video of the explosion that was seen worldwide just two hours after the incident occurred. Valuable lessons were learned from a report on a house fire where a firefighter was critically injured. The lessons learned include several key items for fire chiefs to implement and every firefighter should know and follow. Firefighter situational awareness and survival skills are key to this program. After three hours, firefighters have declared a fire involving a large pile of mulch extinguished. Around 3:00 am firefighters from Accokeek were alerted to an outside fire at Berry Road and Manning Road. Upon arrival units encountered a deep seated fire in a tall and large pile of mulch. These fires are often difficult and work intensive to completely extinguish. Additional firefighters and water tankers were called to the scene to assist in efforts to extinguish the fire. No structures were involved and no injuries reported. The cause of the fire is undetermined and fire loss is still being considered. At this time there is no additional information.